In honour of the long Sunspun tradition of celebrating the end of the coldest months, we’re having a SALE! 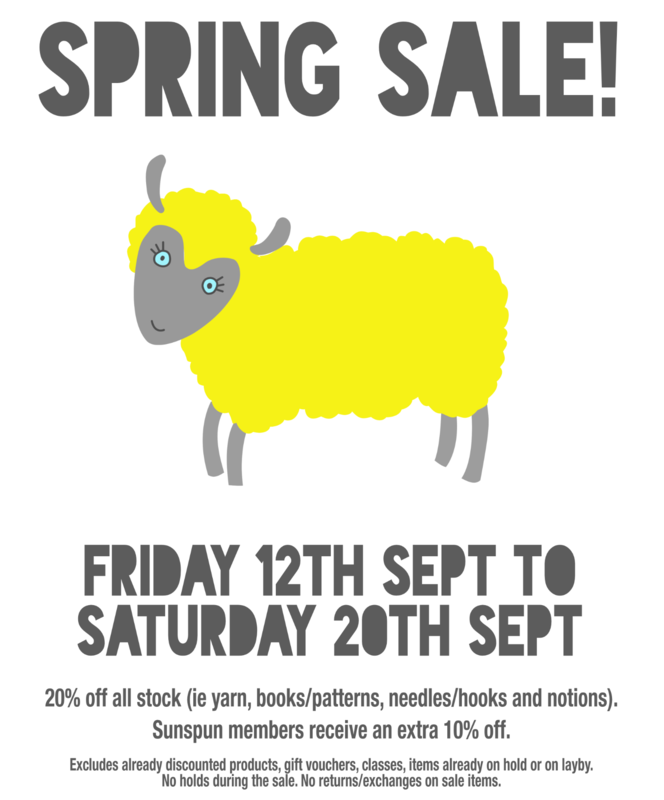 Starting this coming Friday, September 12th and running until Saturday Sept 20th, we are taking a huge 20% off all stock in the shop, including all yarn, needles, books and other supplies. And, as always, the discount applies to email and phone sales and Sunspun members receive their 10% discount off the sale price. We hope you enjoy the lovely prices- happy end of winter to you all! Categories: Sale!, Sunspun news, Yarns | Tags: knitting Melbourne, Melbourne yarn shop, Sunpun, Sunspun sale | Permalink.